The chlorophyll molecule belongs to porphyrins, a family of natural compounds which aid in the processes of the energetic and respiratory systems of all living organisms, including human beings. 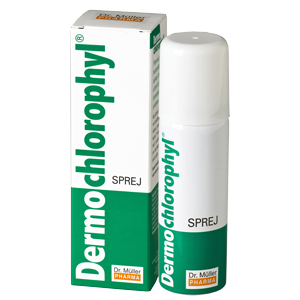 This preparation is designed for a contactless application of chlorophyll on a dermatologically problematic skin. 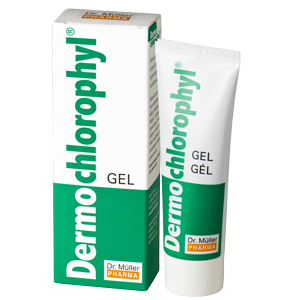 The gel preparation is designed for the treatment of dermatologically problematic skin. Use: Squeeze the gel from the tube and spread it on the skin to form 1-3mm thick layer. The gel forms a greenish layer which gets dry quickly and has cooling effect. The gel may be applied repeatedly.